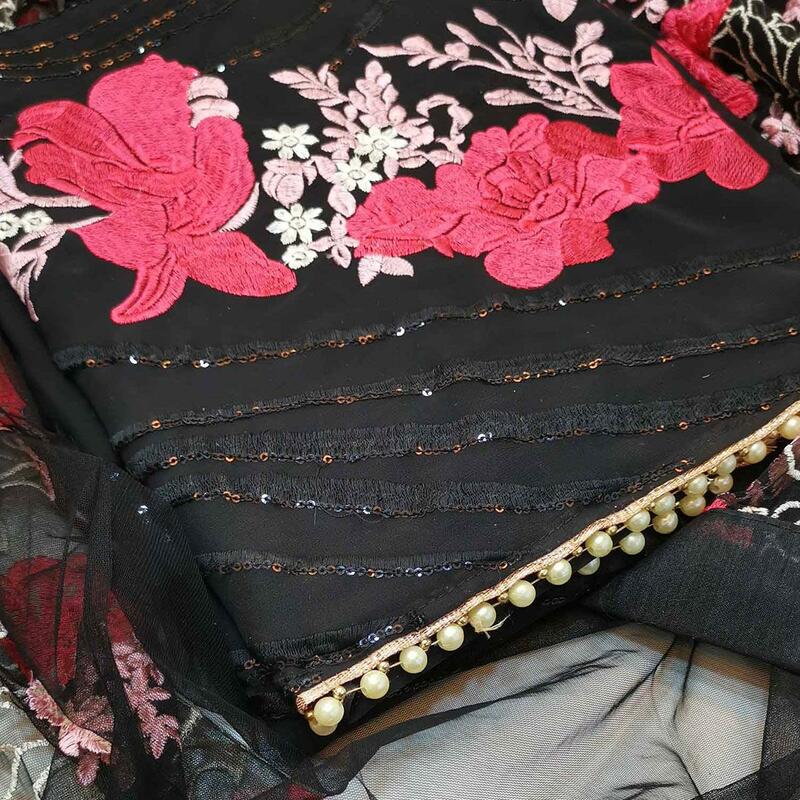 All the fashionable women will surely like to step out in style wearing this demanding black colored dress material. 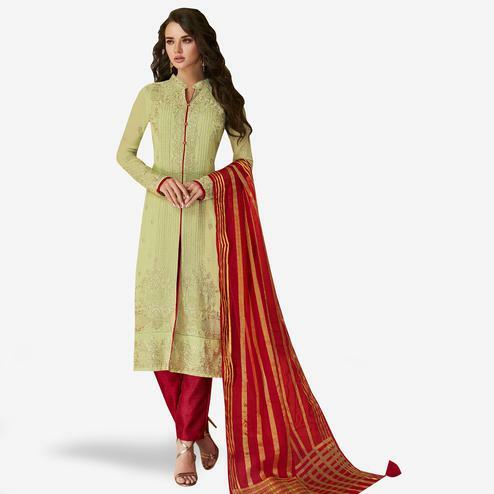 This beautiful suit is prettified with lovely embroidered work which makes it appear classy. 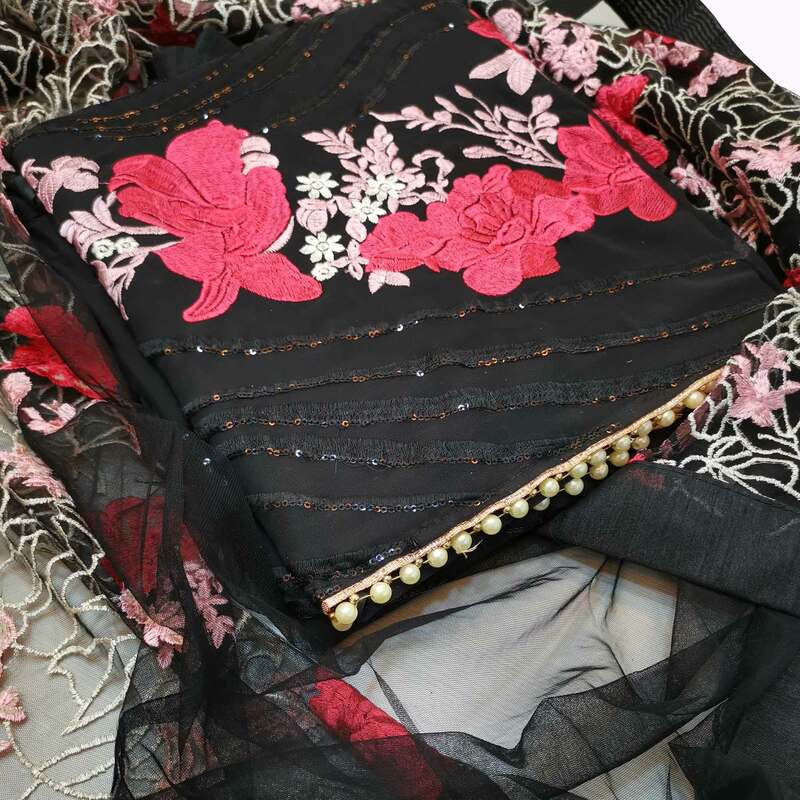 The top is made of georgette fabric accompanied with santoon bottom, santoon lining and embroidered netted dupatta. Women can buy this suit to wear for their upcoming parties, functions, festivals & occasions, where you want to be center of attraction. Team it with stylish accessories to make your looks more beautiful. This attractive suit will surely fetch you compliments for your rich sense of style. Note:- The actual product may differ slightly in color and design from the one illustrated in the images.